Ever since the launch of Beijing’s US$586 billion stimulus package in late 2008, the bulls have been running up China’s growth story – and impressive figures amid a stalling world economy would seem to support their case. But while many were unfazed at first by the US$1.4 trillion in new loans officially extended last year, and another US$1.1 trillion targeted for this year, fears are growing that a lot of the cash won’t make it back. That will mean big problems for banks’ balance sheets. Fitch Ratings believes that trouble certainly lies in wait. In February, the ratings agency downgraded China Merchants Bank (CMB, 3968.HK, 600036.SH) and China CITIC Bank (0998.HK, 601998.SH) to "D" from "C/D," citing the banks’ "noticeable deterioration in capital and rising on- and off-balance-sheet credit risk" after last year’s lending splurge. Charlene Chu, senior director at Fitch in Beijing, told CHINA ECONOMIC REVIEW that the agency’s first rating downgrade of a Chinese bank since 2003 had been sensationalized by the media. It did, however, highlight systemic problems facing banks, notably the near inevitability of the huge jump in lending creating a new wave of non-performing loans (NPLs). "The situation is serious," Chu said. "Not so much in the short term, but in the longer term there could be very severe risks facing individual Chinese banks and the sector as a whole." Xuan Changneng, head of the Financial Stability Bureau under the People’s Bank of China, responded to the downgrades by stating that Chinese banks had "successfully withstood the impact of the global financial crisis and kept a solid trend of development." But he admitted there was a risk of bad loans, and that Chinese banks will be faced with more pressure to replenish their capital bases. According to a BNP Paribas estimate from late November, China’s 11 largest listed banks will need to raise a combined US$53.9 billion for their capital adequacy ratios to reach 12%. Others put the figure at closer to US$30 billion. CMB launched a US$3.2 billion rights offering in mid-March while Bank of Communications (3328.HK, 601328.SH) and Bank of China (3988.HK, 601988.SH) are planning a rights issue and a convertible bond plus new share issue, respectively. Banks’ NPL ratios have fallen in recent years as debts were written off or transferred to asset management companies between 2000 and 2008. But this may change: Wang Tao, China economist at UBS Securities, argues that, following last year’s stellar lending, bad debts are likely to rise a few years hence. "Any time lending grows this fast while the economy slows, bad debt is created," Wang said. While it is too early to tell how large the volume of NPLs will be – much will depend on Beijing’s credit policy decisions and a recovery in the economy and external demand – Wang expects it to remain well below the peak of the late 1990s. Even if total levels of NPLs stay below historic highs, analysts and officials remain worried – particularly given the lack of transparency in how these loans are issued and used. "Where all the money is going and how exactly it is being used is still vague," said Logan Wright, an analyst at Medley Global Advisors. "We still don’t know the structure of these loans." A large chunk of last year’s lending went to state-owned enterprises via loans won by urban development investment vehicles (UDIVs) – special investment platforms established by local governments to obtain financing for local projects. These entities were created to shimmy past regulations prohibiting local authorities from issuing debt, enabling them to secure loans from commercial lenders. Shen Minggao, China economist at Citi in Hong Kong, said in a recent note that new lending to UDIVs was roughly US$586 billion last year. Total outstanding UDIV debt was about US$1 trillion at the end of 2009, or 17.5% of total loans in the banking system. Fitch’s Chu sees this as a problem. "Many people are under the impression that this is solely a phenomenon of the 2009 lending spree, but this is wrong," she said. "There is a long history of banks lending to local government-owned enterprises and special investment platforms. This is not a new thing." Victor Shih, a professor at Northwestern University, Illinois, recently put the number of such local investment vehicles at 8,000, with outstanding debt hovering around US$1.7 trillion. Even with such a massive level of debt, it is the quality of the loans rather than the pace of loan growth that is important. Amid increasing emphasis on defining these loans more clearly to local governments, commercial banks have been told to review their books. Most worrying are UDIVs that use land as collateral against a loan and those that can’t fully honor the lending terms, implying the local government will have to absorb the debt which they originally were allowed to back. With even Premier Wen Jiabao warning of such "latent risks" in China’s banking system, the Ministry of Finance said in early March it will countermand the ability of local governments to provide guarantees on loans secured by financing vehicles. Citi’s Shen notes that UDIVs will still need to borrow in order to complete projects, with debts potentially hitting US$1.75 trillion by 2011. 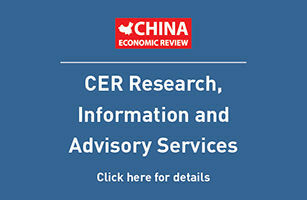 "Under the worst-case scenario about 20%, or RMB2.4 trillion (US$350 billion) could turn bad in 2011," Shen said. He expects loose liquidity conditions to stay in place longer than they should so as to avoid a UDIV credit crunch. The situation won’t go away soon, as the circular nature of loans from banks to local governments to SOEs, and the rolling-over of bad debt, continues. "Strong growth and abundant liquidity mean the situation can go on for some time without becoming a crisis," said Chu. "Growth can paper over many problems." Hoping to limit the extent of those problems, China’s banking regulator has been warning commercial lenders since the second half of last year to comply with capital adequacy requirements, which it has now raised to 11%. It has also hiked the reserve requirement ratio twice so far this year and told banks to abide by lending quotas. However, new loans for January-February were already at US$206 billion, or 28% of the full-year target. Both on- and off-balance sheet risk exposure is a problem that seems will just not go away, but anything resembling Japan’s debt crisis is unlikely. While many of the country’s banks are publicly listed, they are ultimately state-controlled lenders with Beijing at the tiller, and are under little pressure to fully disclose what their risk exposure actually is. UBS’s Wang believes that while banks’ non-performing loans are expected to rise "significantly" over the next couple of years, they will be gradually absorbed or resolved without a debt or financial crisis. Just how they will be resolved is still the question that is worrying analysts and ratings agencies, and the answer is about as clear as the loans themselves. "If you’re looking for an end-game scenario, I don’t think there is one yet," said Medley’s Wright.